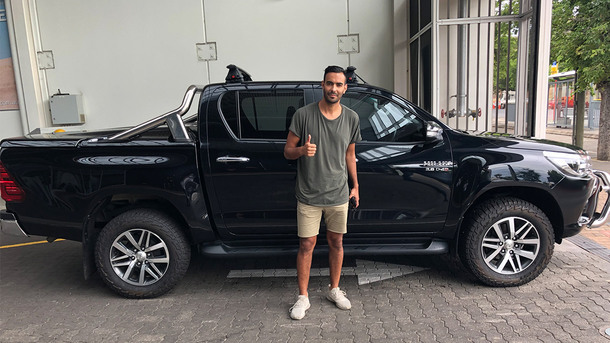 Following the signing of his two-year contract agreement with the ‘Black and Whites’ Adelaide City Football Club this week, CMI Toyota were proud to present Marcos Flores with a new Adelaide City FC Toyota HiLux SR5 thanks to our major club sponsorship. Flores and Adelaide City FC will be using the Toyota HiLux SR5 as part of his role in the club’s youth development program, which will see him visit local schools and junior development programs to help raise the profile of the Club and the sport in South Australia. 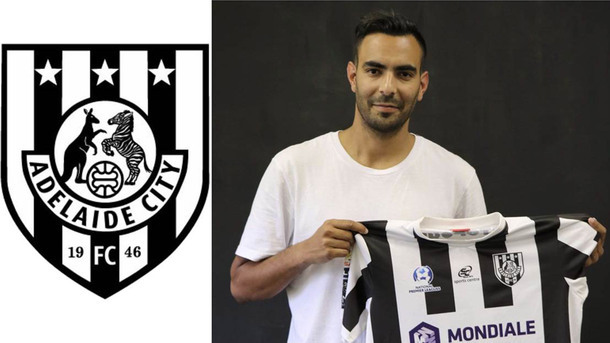 “We’re thrilled to see Marcos Flores sign with Adelaide City Football Club for two years and that through our ongoing club sponsorship, we can help him drive the awareness of such a fantastic organisation. It will be a fantastic opportunity for Adelaide City FC to spread the word about the club’s youth development program and the sport in general. We can’t wait to see what 2019 brings for Adelaide City FC,” says Adam McCullum, CMI Toyota Adelaide Branch Manager. Be sure to keep an eye out for the Adelaide City Toyota HiLux which will be sign written this week and on the roads of Adelaide – you might even catch a glimpse of this Argentine playmaker.